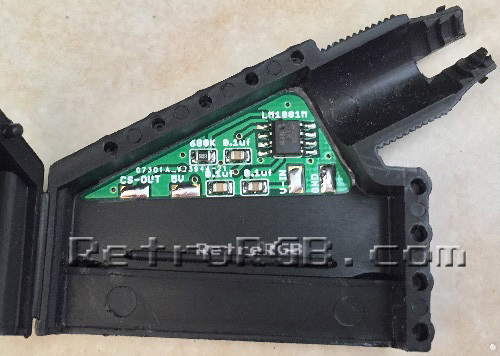 This page provides information on the Sync-in-SCART board, originally designed by Alex a.k.a. ArcadeTV. This board can be installed anywhere an LM1881 sync stripper is needed, but I provide detailed instructions on installing it into a SCART head. Please note that the LM1881 outputs TTL-level sync. If you’re going into a device that’s expecting 75 ohm video-level sync (such as the framemeister), then you’ll need to add a 470 ohm, 1/4 watt resistor to the output line. There’s more info at the bottom of the page and for more information on sync, please see the main sync page. Also, if you’d like information on how to make your own sync stripper instead of buying this one, please see this page for full instructions. – Basic tools, such as pliers, tweezers, etc. This board can be installed anywhere you need to “strip” csync from either composite video or luma. 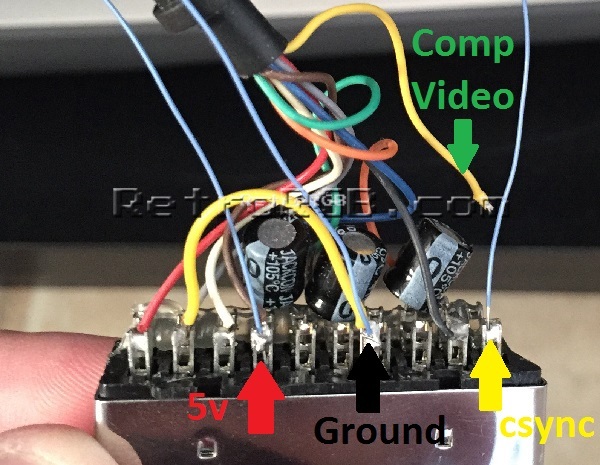 For installation inside a console, simply solder (from right to left as shown above) ground, composite video (or luma), 5v power and finally csync output. 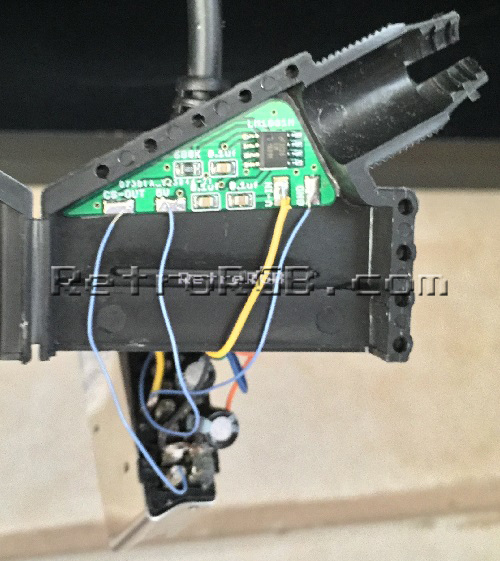 If mounting inside a console, I suggest either using heat shrink tubing to cover the contacts and ensure nothing can touch it, causing a short. – Now it’s time to add wires to the SCART connector. – First, de-solder the composite video wire that’s in pin 20 (the right-most pin on the connector below) and solder a short wire in its place. – After that, use a multimeter to double check for voltage and solder a wire to that pin as well; 5v power should be coming from pin 8 (4th from the left in the pic below). – Finally, use a multimeter to find any ground pin and solder a short wire to it. This connector had a separate ground pin that was located just in front of the other pins, making it very easy. – Next solder all the wires to their corresponding places on the board. 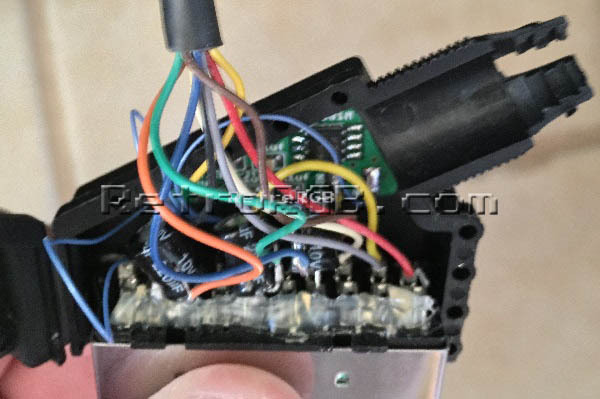 – CS-OUT goes to pin 20 on the SCART connector, the same pin you removed the original composite video wire. – 5v should connect to the wire you added to pin 8. – V-IN should be connector to the wire that was originally connected to SCART pin 20. – GND should be connected to any ground point. – Finally, carefully re-assemble the SCART connector and make sure no wires get pinched. I found that there was plenty of space inside, but if you’re concerned about the Sync-in-SCART board touching anything, feel free to cover it with a piece of non-conductive tape. That’s it! A pretty simple installation that’s extremely useful when your setup requires csync, but your system only outputs composite-video-as-sync. Please note that the most common use of this “Sync-in-SCART” circuit is with classic game consoles. As a result, I strongly recommend soldering a 470 ohm, 1/4 watt resistor between the output pad and the sync pin on the SCART head, which will attenuate the signal from TTL-level voltage to 75ohm “video” level voltage. It’s as simple as soldering the resistor to the pin, then connecting a wire from the output pad to the resistor! If you’re not sure if you need it, just add it…it’s literally less then a dollar and a really easy install. If you’ve arrived at this page as part of the RGB Guide, please move along to: what method you’d like to use to display RGB. If not, feel free to head to the main sync stripper page, or check out the homepage for everything else we have to offer.